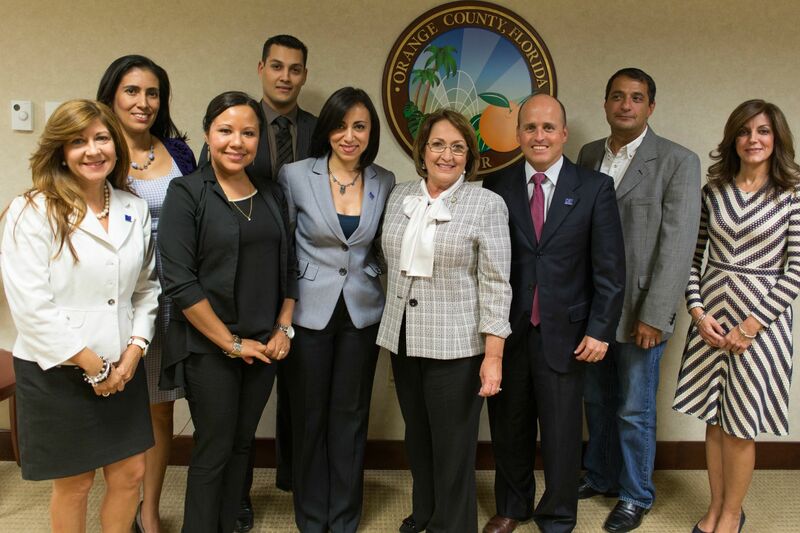 Orange County Mayor Teresa Jacobs met recently with leaders from 15 Central Florida chambers of commerce to discuss community accomplishments, small business issues and future economic opportunities. Chamber representatives learned more about various community initiatives, including Orange County Government’s Neighborhood Improvement District, overseen by the Neighborhood Preservation & Revitalization Division. These designated special districts promote redevelopment, encourage community beautification and focus on crime prevention. Chamber representatives also learned about the Workplace Sustainability Challenge and Recognition Program, to be launched by Orange County and several partners in January 2016. The Challenge focuses on three key areas where businesses can improve, including community involvement, green practices, and healthy workplaces. “To build a vibrant economy where creativity, innovation and opportunity will flourish, we need to invest now in the tools that future generations will need,” Mayor Jacobs said. The funds will be spent on roads, parks, pedestrian safety projects, public and fire safety facilities and affordable family housing in Orange County. INVEST in Our Home for Life will be funded through leveraging existing revenue streams thanks to conservative budgeting and an improving economy, not through increased taxes. Chambers that attended the meeting include the Hispanic Chamber of Commerce Metro Orlando, West Orange Chamber of Commerce, African American Chamber of Commerce of Central Florida, Asian American Chamber of Commerce, Central Florida Disability Chamber of Commerce, Apopka Area Chamber of Commerce, East Orlando Chamber of Commerce, British American Chamber of Commerce, International Drive Resort Area Chamber of Commerce, Orlando Regional Chamber of Commerce, Central Florida Brazilian American Chamber of Commerce, Winter Park Chamber of Commerce, Puerto Rican Chamber of Commerce and the Indian American Chamber of Commerce. A collection of photos from the meeting is available for use by the media and located on Flickr.